Ray William Johnson was the first YouTuber to publicly make a million dollars in a year. This was in 2011. Nowadays 1 million is pocket change to what popular YouTubers are making, which in one case is 7.5 million more. In the current YouTube industry it’s common for a YouTube creator to pull in some serious cash. In 2011, however, before the age of Pewdiepie and Michelle Phan, it was rare to hear of someone publicly admitting even making a substantial salary off of ad revenue. This vast potential of such a niche market was most likely catnip to companies and investors. There were so many opportunities for companies to make money in a company that at that time was only 6 years old. In 2015 YouTube turned 10 and with that, increased regulations on how creators and MCNs make money. Making money from the adverts at the beginning of videos remains the most accepted form of revenue for YouTubers. Most consider commercials too annoying and off-putting, but as more and more people become desensitized to advertising, few actively take steps to remove them with extensions such as AdBlock. 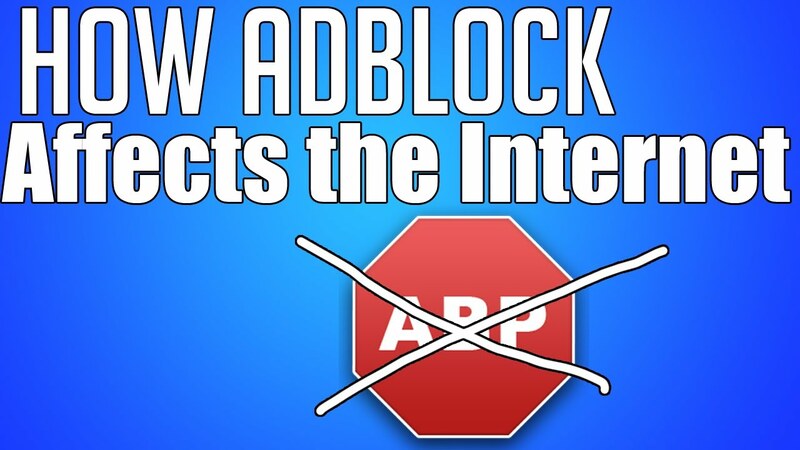 Check out this video to find out more about the pros and cons about using AdBlock. Just 4 years later, the highest subscribed and second most paid YouTuber is Pewdiepie. With 37.4 million subscribers, he’s estimated at earning up to $8.47 million annually after YouTube’s 45% cut according to Business Insider. It takes a certain level of popularity and confidence to become a full-time YouTuber. Depending on the content, there could be dozens of hours spent on a single video. Johnson in 2011 apparently spent “about 11 hours a day surfing for killer videos to rip and replay.” For some channels like Epic Rap Battles of History (12.2 million) there are weeks of preparation and filming before they upload a video. With viral hits like Obama vs Romney and Mozart vs Skrillex it’s easy to understand why. There’s a lot of money that needs to go into channels and networks that aim to consistently produce popular videos every few weeks. Their subscribers guarantee a certain amount of views, but it’s up to the content to push it past their subscription count and into viral territory. This brings in another form of revenue, multichannel networks. With MCNs like Maker Studios and Fullscreen, creators sign away a portion of their ad revenue in exchange for exposure. Nearly all popular YouTubers have joined with one of the several MCNs. Pewdiepie, for example, is a huge part of Maker, now owned by Disney since early 2014. Additionally, companies can pay for creators to produce particular videos according to demand. Zoella reportedly made up to £20,000 for a collaboration video with her boyfriend Alfie Deyes. I’ve heard increasingly high numbers like Pewdiepie’s thrown around a lot in the past few years, but it never ceases to amaze me. The revenue factor that comes from AdSense and company sponsorship is such a new development that it’s always shied away from during discussions. No one really wants to admit that they make money for product placement, since the basis of the YouTube community stems from a relationship between viewer and YTer, a trust that this creator, someone just filming from their bedroom, gives their truthful, unbiased opinion and could not possibly be paid to purposefully put something into a video. Advertisers are subject to liability for false or unsubstantiated statements made through endorsements, or for failing to disclose material connections between themselves and their endorsers [see § 255.5]. Endorsers also may be liable for statements made in the course of their endorsements. As the public becomes increasingly aware of subtle product placement and company sponsorship in videos, creators are bowing to public insistence for more transparency and disclosing these partnerships in the descriptions or in the title itself. Due to the haze surrounding revenue from AdSense, sponsorship, and MCN partnering, there is a huge range in reported salary for top YouTubers. While researching for this article the net worth of DisneyCollectorBR (4.7 million) ranged from as low as $600 thousand to as high as $16.6 million. That’s a huge discrepancy and hopefully, as this industry becomes more developed and transparent, this spread will become smaller and more accurate. After everything, it’s pretty clear that YouTube videos are a huge business for top content creators and networks. Many of those pulling in millions of dollars are hardly household names. You might not consider that single view on the newest Jenna Marbles video to have a serious impact, but subtly, that viewership adds up to a serious paycheck. Even though it didn’t cost you anything to watch, advertising companies are paying for your eyes on their pre-roll ads. This industry, while based on the relationship between viewer and creator, still exists in a capitalist society and people will always need ways to pay the bills. After all, money makes the world go round.